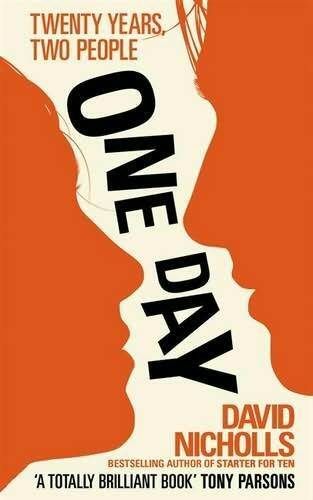 One Day was the first book of our book club’s 2011-12 reading season (and our 12th year together!) After last year’s (mostly) snooze-a-palooza, it was terrific to come back to some current fiction. One Day comes with a little bit of hype, but I think it totally delivers on its promise. Emma and Dexter meet on the eve of their graduation from the University of Edinburgh in 1988. Although Emma has admired Dex from afar, this is their first real encounter and she is totally smitten. Although they come from different worlds (Emma is working class and Dexter comes from money) their one (unconsummated) night begins a friendship that we see in snapshots over twenty years. The beauty of Nicholl’s novel is that we revisit Dex and Emma on the same day, July 15th, and sometimes threads of their lives are left dangling. In the beginning, both Emma and Dexter suffer from post-college malaise. What are we going to do with our lives? Dexter travels and Emma writes him long letters. He falls into a plum job in TV production. Emma works at a crappy tex-mex restaurant, then becomes a teacher. Through it all they prop each other up and tear each other down in the manner of friends who might be more if only they could get their act together. This is one of the things Nicholls handles so beautifully in this novel. He juggles their lives – their various liaisons and miscommunications- with such finesse. Even when Dexter is acting like a complete prat we see exactly what Emma sees in him. When Emma is perhaps too serious, we just want to shake her. They are beautifully realized characters, flawed and heartbreakingly fragile. But Nicholls has even more in store for the reader. The book’s denouement adds a layer of richness to the story, bringing us full circle and allowing the reader to consider the infinite possibilities inherent in just one meeting. Oh, the difference a day makes. This entry was posted in Book Chat and tagged 2011, book club pick, highly recommended, literary fiction, page turner, popular fiction by Christie. Bookmark the permalink.